Grand Capital LTD $10 No Deposit Bonus - The bonus only for Russian & Ukraine. The bonus without deposit is one solution for you who don't want make a deposit to this broker. Free 10$ to each account , Trade on a real account without investing a penny. Participants of the action can only be new clients of the company, first registered Personal account during the promotion period. Available to: Russian Federation and Ukraine citizens only. How to get: Open an account with them, verify the account, and contact account manager. Withdrawal condition: profit can be withdrawn anytime, first withdrawal commission is $10. Terms of the action "No Deposit Bonus"
1.1 Dates of action - from September 2013. 1.2 The organizer of the campaign is the company Grand Capital. 1.4 The Promoter reserves the right to cancel the promotion at any time. Personal account during the promotion period. 2.3 Types of accounts involved in the campaign: Micro. 2.4 In the bank participating in the action leverage may not exceed 1 100. 2.5 The action can not participate the staff of the organizing company, their relatives. 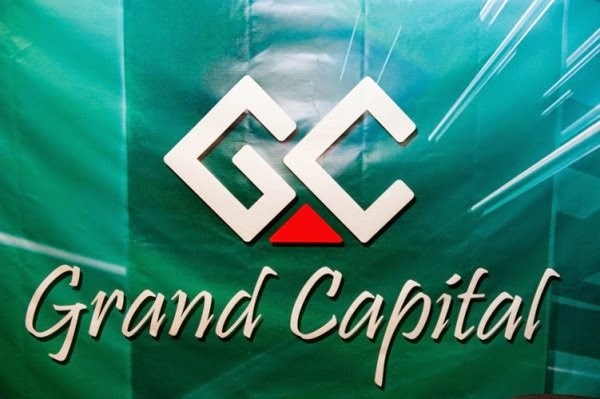 0 Komentar untuk "Grand Capital LTD $10 No Deposit Bonus on All Micro Account"